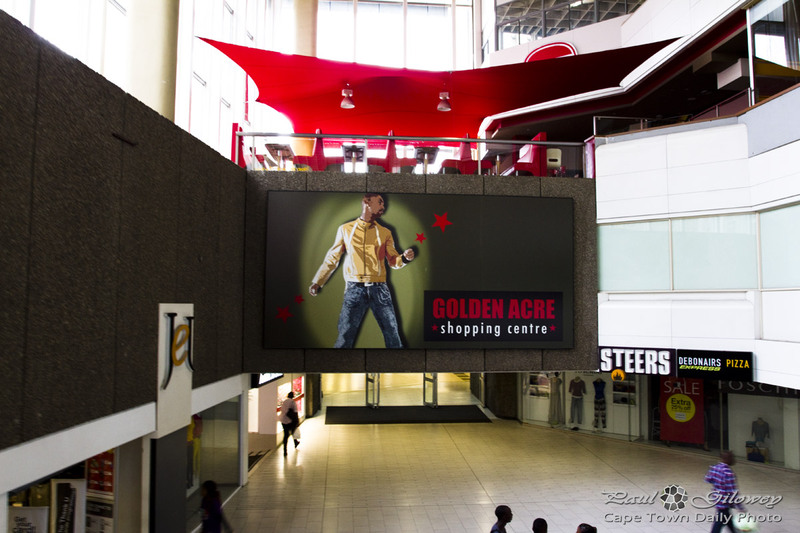 The Golden Acre underground shopping mall in Cape Town used to be awesome. These days it's a little run down, a little dirty, and not a place that I'd rush to hang out at for an afternoon. 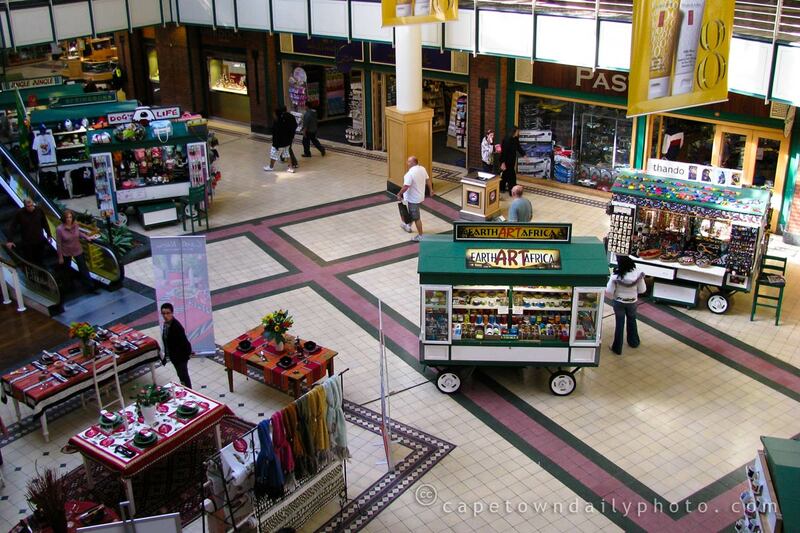 I used to work in the city a few years ago, and at that time I appreciated it greatly - not for the stores, but for the underground walkways. They offered a way to avoid having to wait for traffic lights to cross busy roads, and also provided shelter from the rain for much of the 10 minute walk between the train station and our office building. 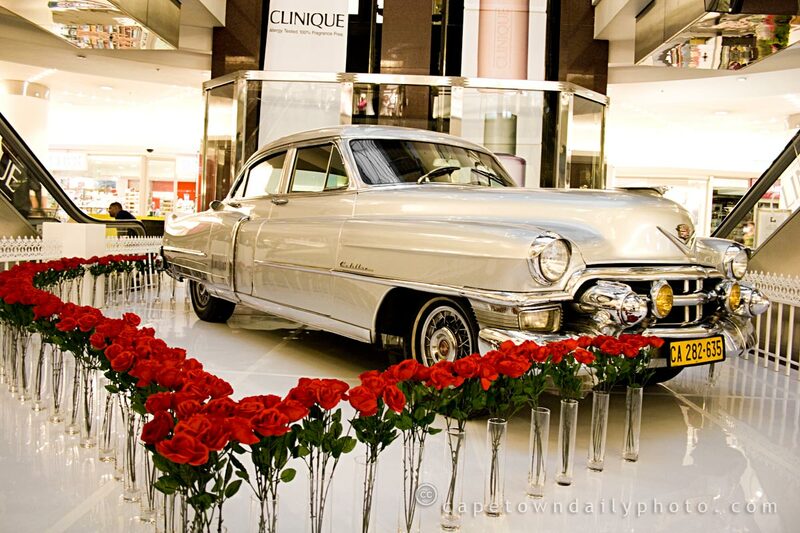 Posted in General and tagged city, mall on Monday, 11 February, 2013 by Paul. 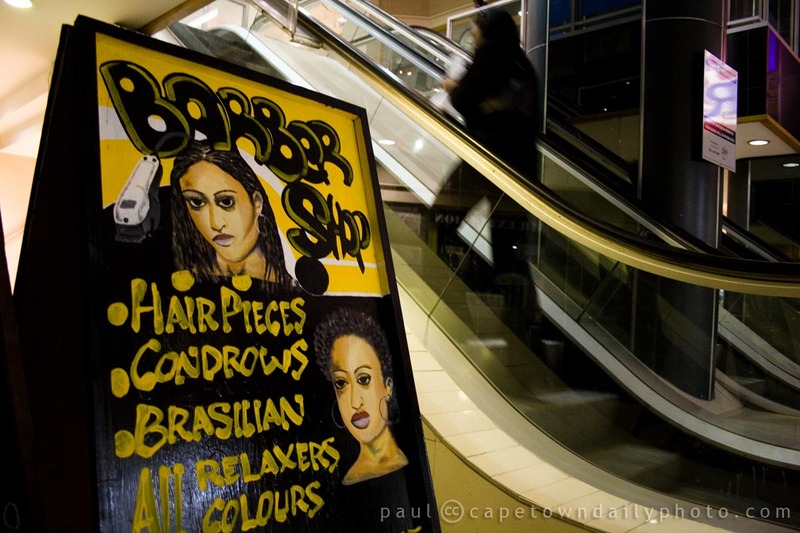 I found this barber that focuses mostly on ethnic hair, in the Picbel Parkade shopping mall - only a little way from the Pick 'n Pay food store. A few years ago the Picbel Parkade was one of the dodgy areas that I would have avoided, but upon my last visit I noticed that it appears to have been cleaned up nicely. Posted in General and tagged mall on Tuesday, 3 August, 2010 by Paul. 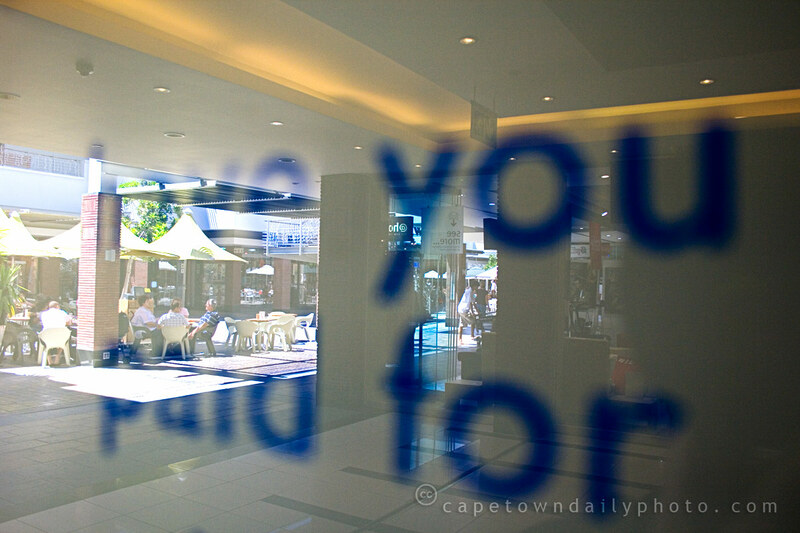 Posted in Street photography and tagged mall, people, v&a waterfront on Friday, 6 March, 2009 by Kerry-Anne. 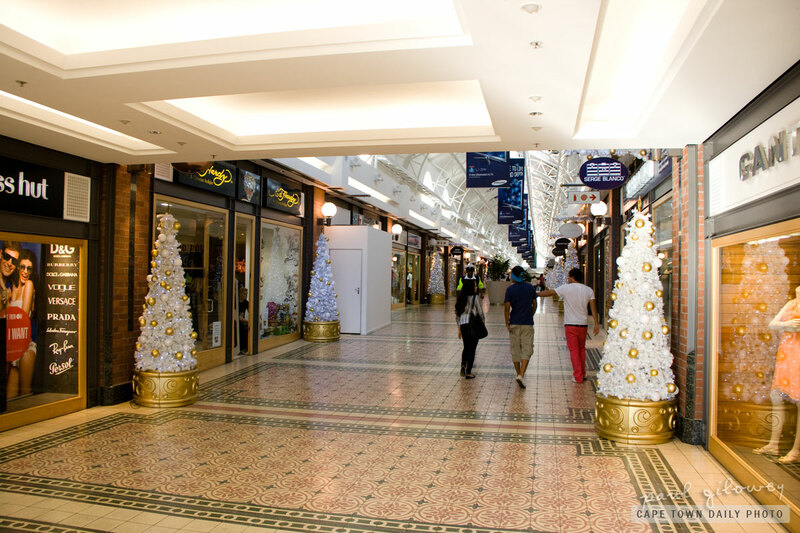 Shopping malls and many other large buildings have fire alarms similar to this one. Don't you find that you just want to press on the glass? Every time I see one of these I have to hold myself back and stop myself from pressing that button. In fact, it took much restraint on my part not to press this one while trying to take the photo. I guess it's much like a dieting woman holding a slab of Lindt chocolate... irresistible. Well, almost irresistible. 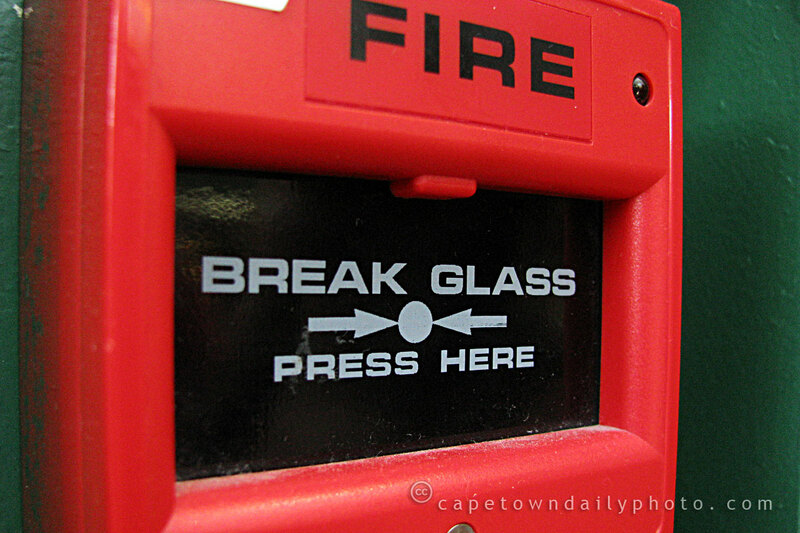 The fire alarm in my office building is cleverly covered by a plastic flap that one would have to lift to expose the glass "button". It's a good thing too - I walk past this alarm 10 or 15 times each day. 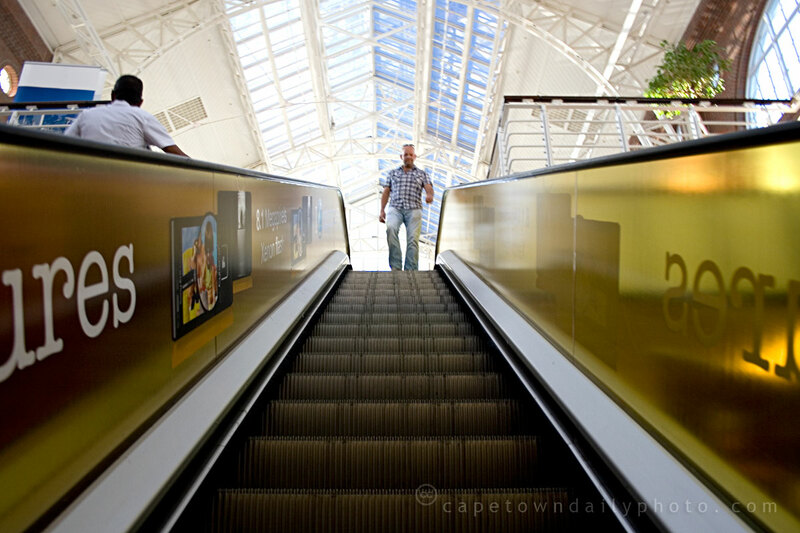 Posted in Street photography and tagged fire, mall, v&a waterfront on Tuesday, 13 January, 2009 by Paul.